Learn fretboard skills from the greats. 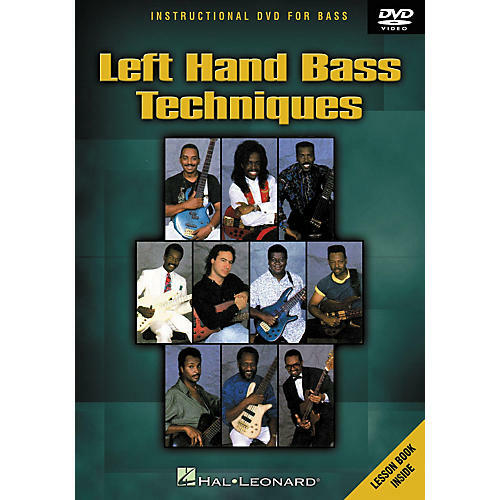 10 of today's most influential bass players come together on this DVD: James Jamerson Jr., Louis Johnson, Abe Laboriel, Nathan East, Chuck Rainey, Freddie Washington, Verdine White, Larry Graham, Byron Miller and Neil Stubenaus. This DVD looks at left hand technique concentrating on the fretboard. All 10 artists reveal their own unique approach to scales, arpeggios, chords, open string usage and adapting bass lines to a variety of musical styles including funk, rock, blues, Motown, and many more.